If your basement floods regularly or you have heavy water runoff puddling in your yard, it could be due to poor soil drainage. Sounds like it’s time to install a French drain. French drains are trenches filled with a perforated pipe and gravel. They’re crafted to redirect surface water away from the affected area or relieve water pressure behind a retaining wall. Where are Exterior French Drains dug? French drains rely on gravity to work. If you don’t live on a slope or near a hillside, you may need a sump pump installed to help pump water from the French drain to a storm sewer or dry well. If rainwater has ever seeped into your basement via cracks in your home’s foundation, you know how much of a hassle the cleanup process can be, one that either involves spending a fortune to hire a water removal company or renting the equipment yourself from a big-box hardware store. However, it’s possible that this headache and stress could have been avoided altogether if you had an exterior French drain installed on your property. 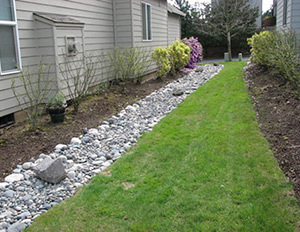 French drains, which consist of a perforated pipe encased in a layer of gravel or rock that is buried beneath soil, prevent flooding by carrying rainwater to a low-lying area using gravity or the land’s natural slope. So, if your basement floods regularly, or if there is heavy runoff water puddling your backyard and making it a soggy mess, chances are it’s the result of poor soil drainage. In other words, it’s time to get a French drain that runs along the entire perimeter of your home and diverts water before it reaches the foundation. 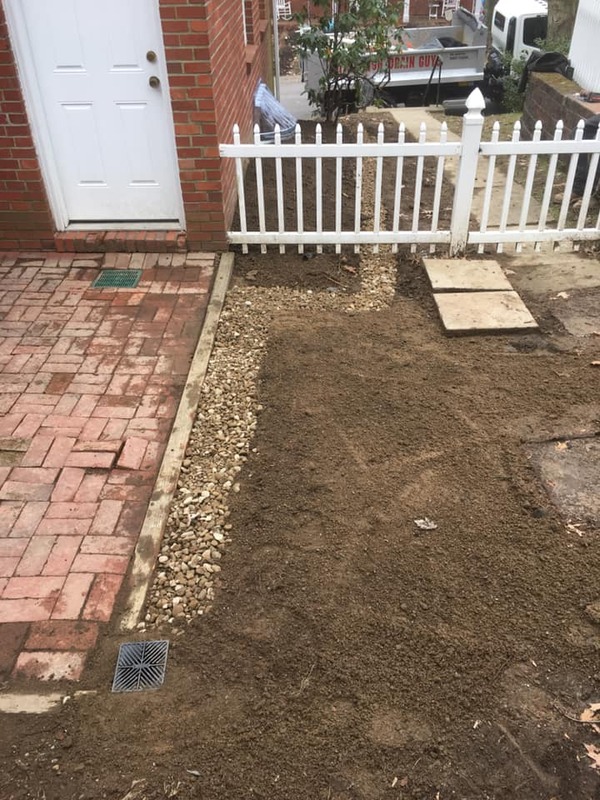 When looking to install a French drain it’s best to seek the help of qualified professionals because the practice can sometimes be difficult depending on the height of your basement walls, which dictates how deep the trench will need to be dug. 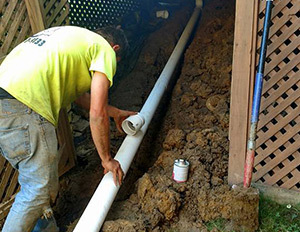 The Pittsburgh Drain Guys are experts in residential and commercial French drain installation and can solve any and all drain issues. Our team is confident that they’ll be able to provide you with a quick and easy solution to your runoff problems so you won’t have to worry about wading through a wet basement ever again. Why wait for future flooding when you can take preventative action now and save yourself time and money in the long-run? While there will always be flooding, make sure that the water stays on the outside of your house, instead of leaking in, by giving the Pittsburgh Drain Guys a call.